This Remembrance Day is the 65th anniversary of one of the stranger documents of early post-war Australia. Titled ‘The Call to the People of Australia’ or simply, ‘The Call’, it was signed by a number of prominent people, mostly senior clergymen and judges, and published to mark Remembrance Day 1951. 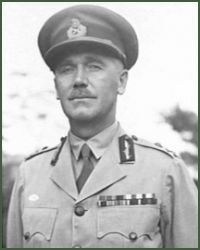 The Call’s main spruiker was Sir Edmund Herring (1892-1982), Rhodes Scholar, soldier in the Great War, former General, temporarily Director-General of Recruiting during the Korean War – the Battle of Kapyong had been in April 1951 – and for many years Chief Justice and Lieutenant-Governor of Victoria. He had also been a senior member of the White Guard, a secret anti-Communist organisation active in the 1920s and 30s. There are times in the histories of peoples when those charged with high responsibilities should plainly speak their minds [The Call began]. Australia is in danger. We are in danger from abroad. We are in danger at home. We are in danger from moral and intellectual apathy, from the mortal enemies of mankind which sap the will and darken the understanding and breed evil dissensions. Many people and groups had helped to get us to where we were, had helped make us great. And how was all of this to happen? Let us all unite in thanks to Almighty God for His manifold blessings and give of our best In His service, so that when our gracious Queen comes amongst us next year, we can each and all of us match her dedication with one of our own, more humble no doubt, but no less sincere. By 1957, however, The Call had slipped from view. It did make an appearance as a document in Henry Mayer’s Australian Politics reader in 1966; us Politics I students at Monash University were puzzled by it. 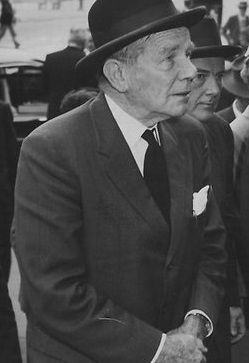 Herring was also President of the Boy Scouts for 20 years and of the Board of Management of the Australian War Memorial for 15 years. In 1968, the minister responsible for the Memorial, Peter Nixon, tried (unsuccessfully) to persuade the then 76-year-old Herring that the Board needed broader representation. In 1967, Herring presented the author of this note with the Queen’s Scout badge. The author’s career in the Scouts was fading by then but Herring still seemed chipper enough. He died in his 90th year in 1982. An island in the Yarra River was named after him.